7 pages pdf, english (cm, inches), french (cm). I discovered the woven bias technique on instagram a little time ago, and decided to try it myself to make the central pannel of a baby quilt. And Oh my! It's amazing what results you can obtain from weaving different color gradients. Just get the technique, and the world is yours! Here I used the colors of a rainbow, with 50 mm (2 inches) large bias stripes. It is so easy to do, anybody should learn this because it's just fantastic! 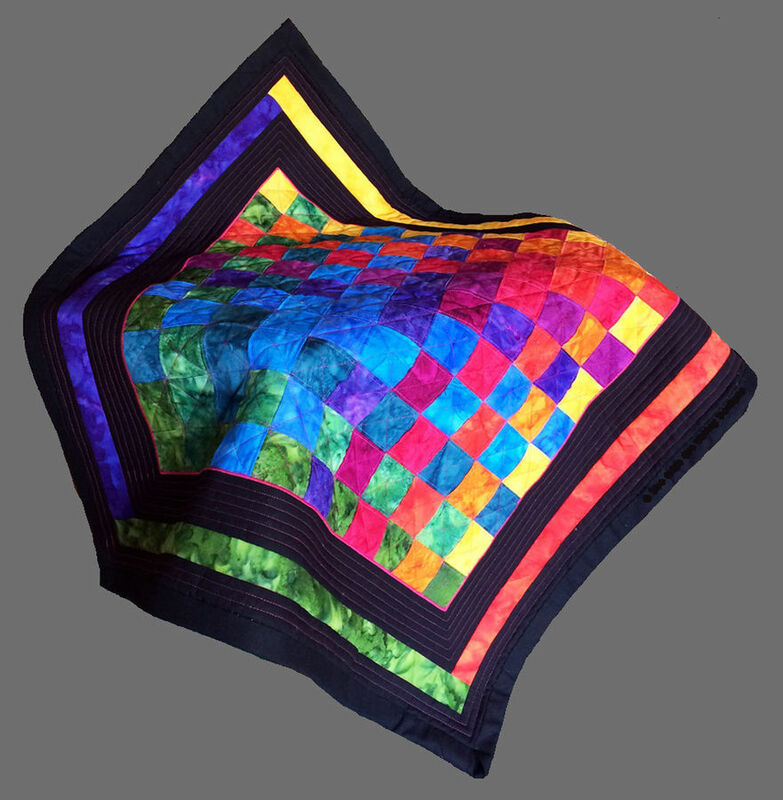 The pattern is meant for an approximatively 80x80 cm (or 32x32") big quilt but you can adapt it any size you want to make a baby quilt, a table topper, or a plaid for example.